"School of computer science and application"
Swastik College, the School of Computer Science and Application, was founded in 2013 by the team of academicians and young entrepreneurs. It is located at Chardobato, Gattaghar, Bhaktapur. 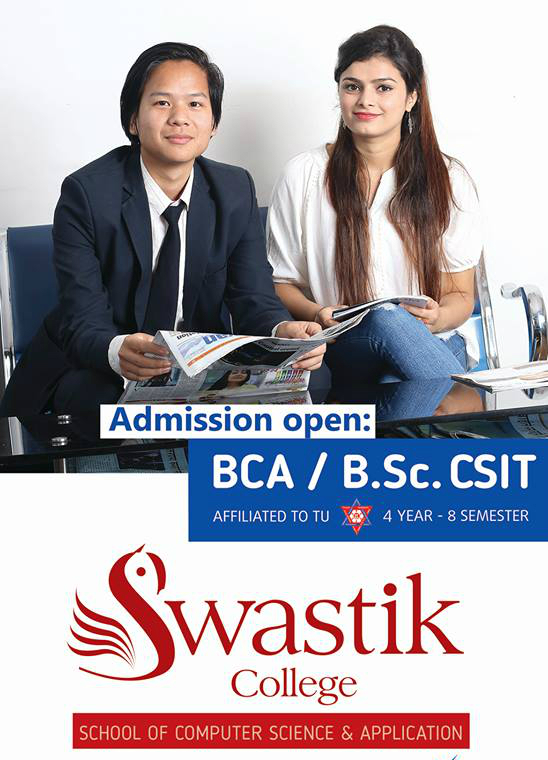 Currently Swastik College is running Bachelor of Science in Computer Science and Information Technology (B.Sc CSIT) and Bachelor of Arts in Computer Application (BCA).